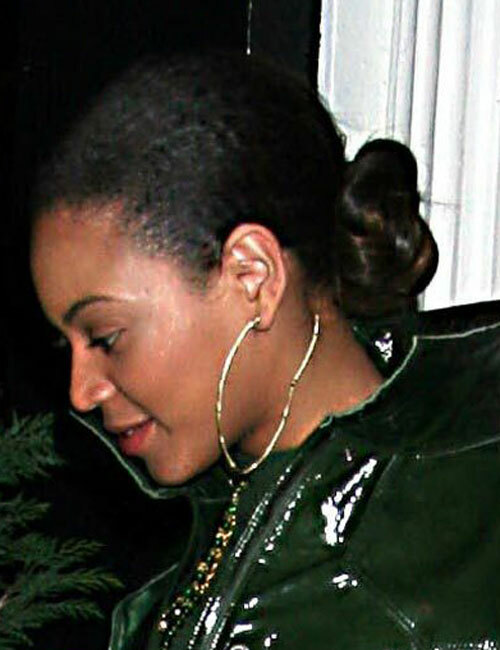 As I've said before, no one knows how long Beyonce's Natural hair is, or do we know if she wears it or not. I was once told that she wears lace front wigs 80% of the time she's seen. Which is just fine to me, because it's not damaging her hair at all. Here's a pic that I found...and it looks pretty Natural to me.